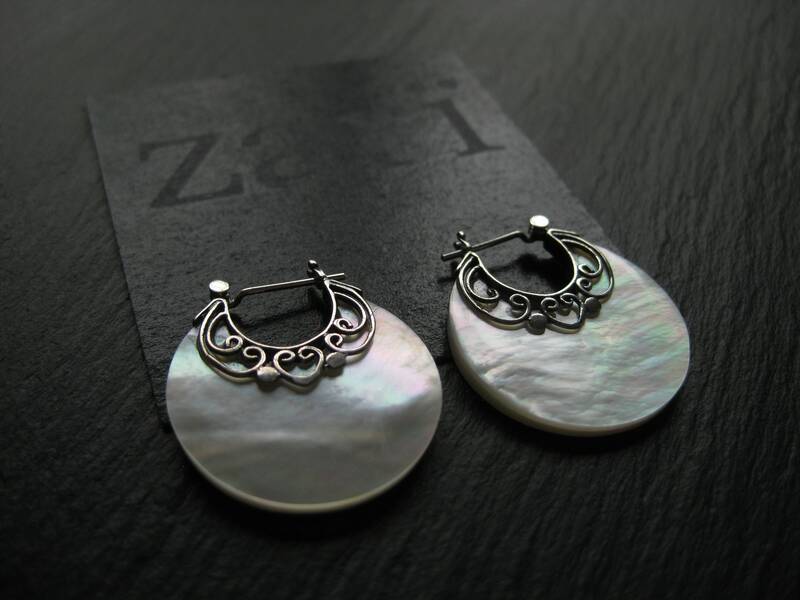 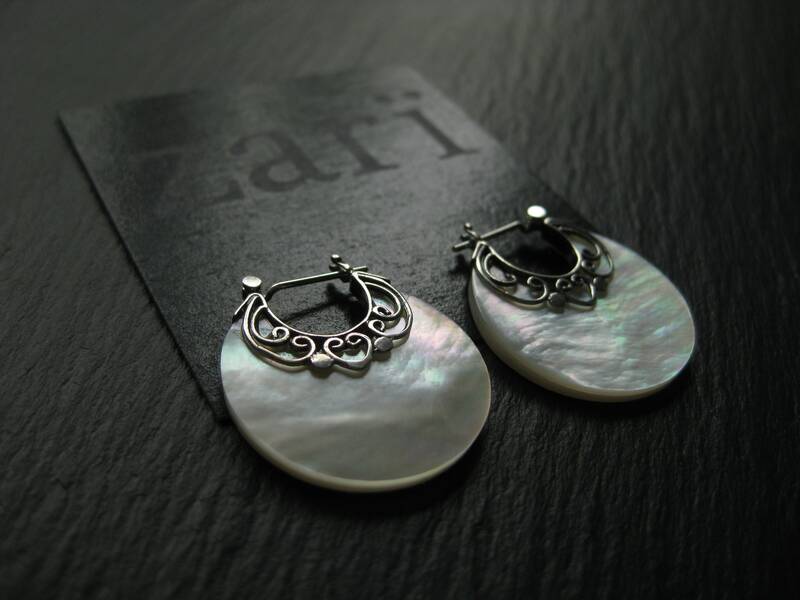 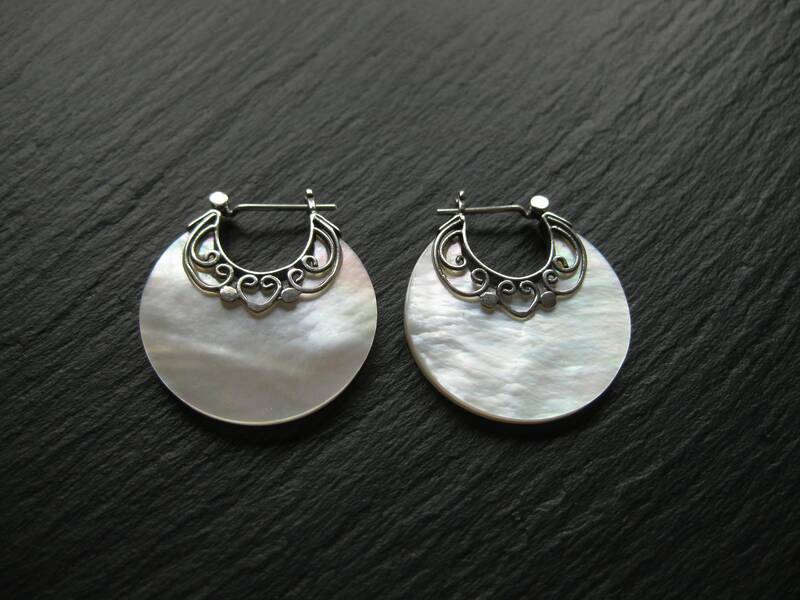 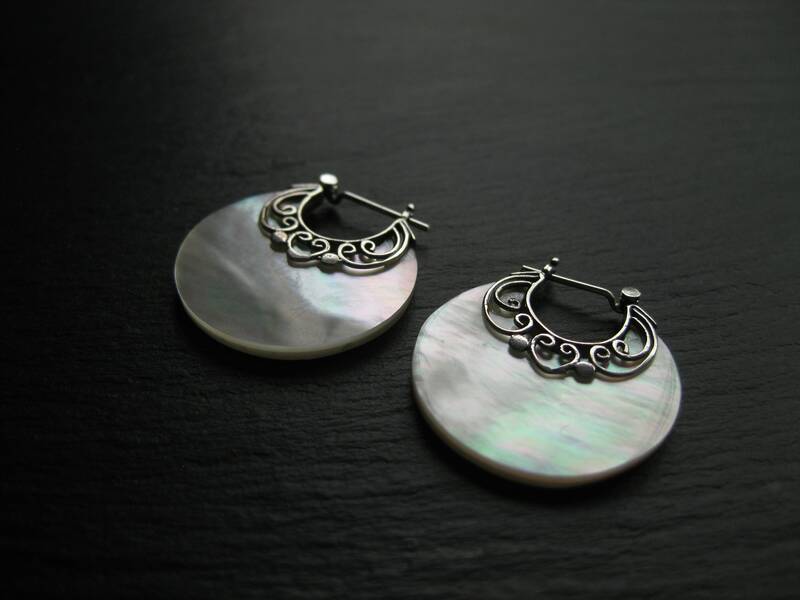 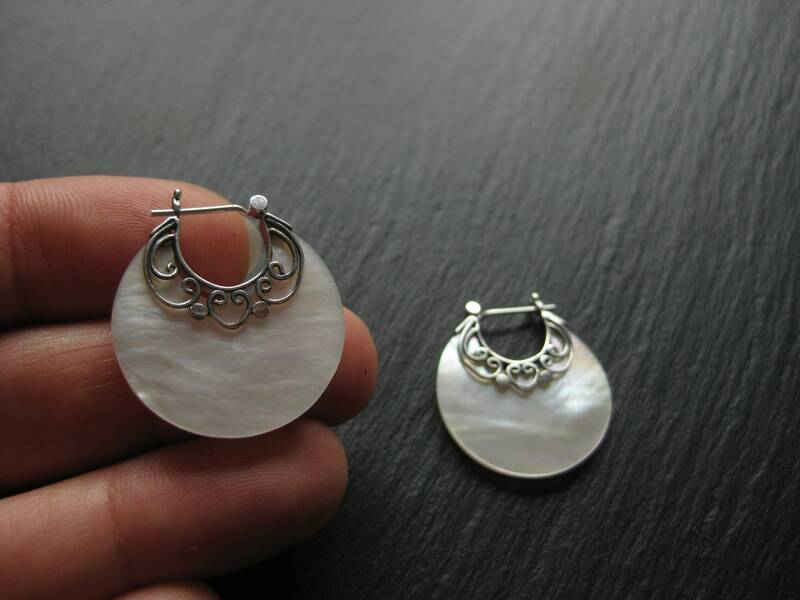 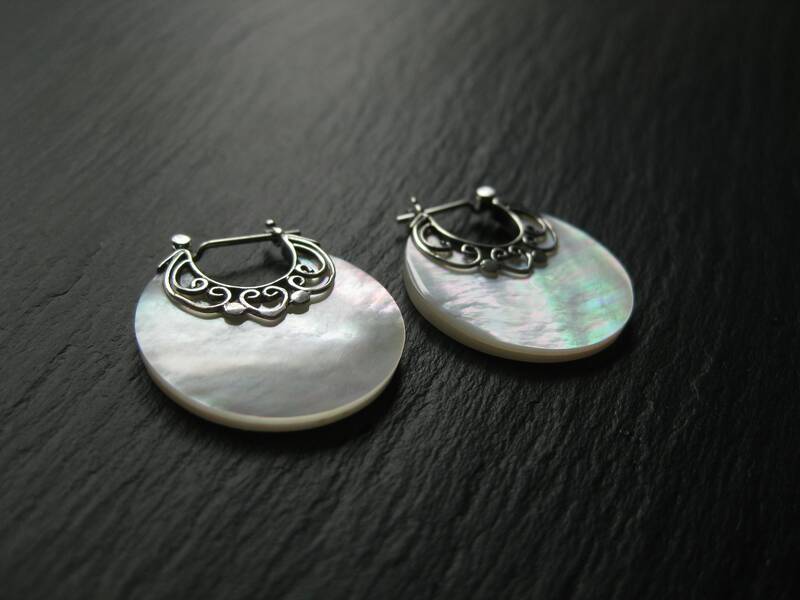 Elegant Mother of Pearl disc hoop earrings with dainty sterling silver details and clic closure. 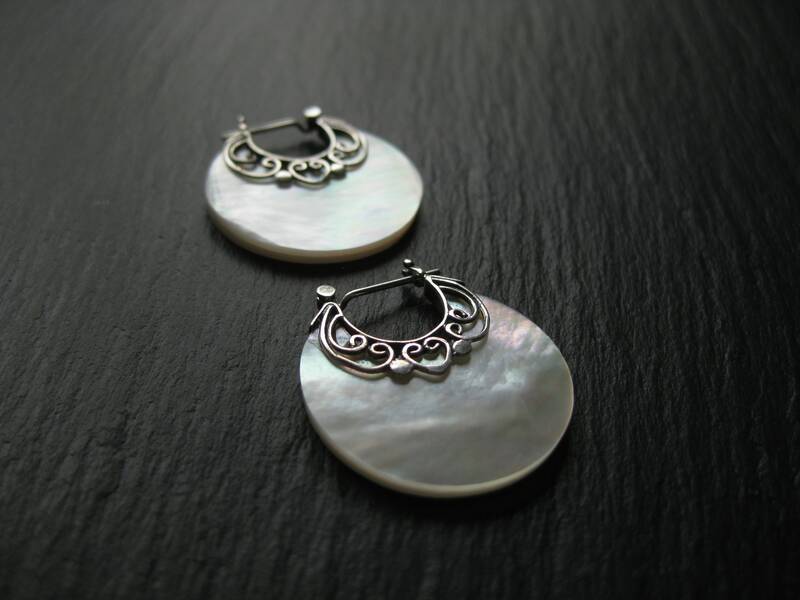 These chic exotic hoop earrings will get heads turning! 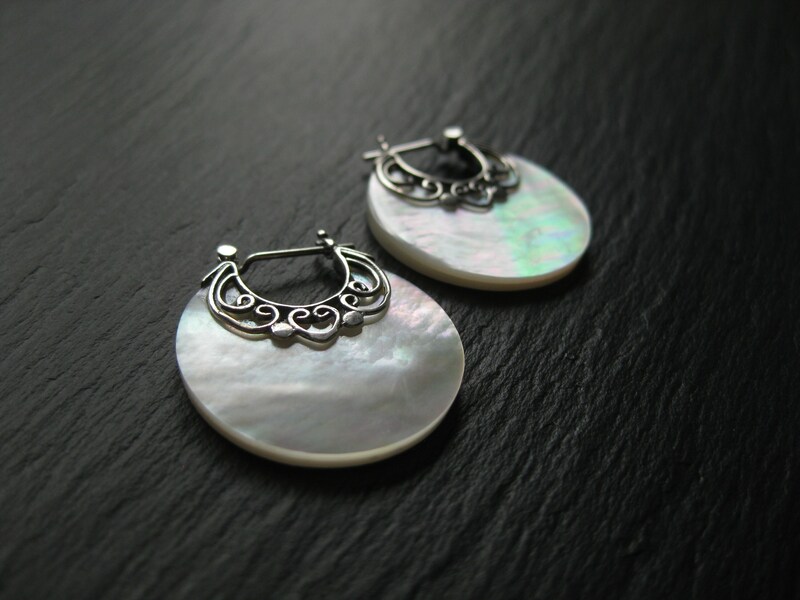 Super light and easy to wear, these will give a touch of fancy to any of outfits, casual or chic!